On September 16, the North Gauteng High Court denied the South African government leave to appeal in the case pertaining to Sudanese President Omar al-Bashir. Al-Bashir is wanted by the International Criminal Court (ICC) for crimes against humanity, genocide, and war crimes. After a United Nations (UN) Security Council referral of the situation in Darfur, the ICC found that there are six people, including al-Bashir, who are deemed to be most responsible for crimes committed. UN statistics indicate that at least 300 000 people have died since the beginning of the 2003 insurgency that triggered the commission of crimes identified by the ICC. As a signatory to the Rome Statute of the ICC and having domesticated the Statute, South Africa is obligated to arrest al-Bashir if he is found on South African territory. South Africa failed to do so when al-Bashir attended the African Union Summit in Johannesburg, in June 2015. In a bid to ensure that South Africa adheres to its domestic and international law commitments, the Southern Africa Litigation Centre (SALC) wrote to the government stating its concerns about the prospect of al-Bashir’s visit. After no meaningful response, SALC resorted to litigation upon hearing that al-Bashir had arrived and had not been arrested. SALC brought an urgent application on June 13 2015, before the High Court, seeking the immediate arrest and detention of al-Bashir. SALC managed to secure a court order for his arrest and transfer to The Hague despite that the government allowed al-Bashir to escape contrary to an interim order not to permit him to depart. Unhappy with the ruling that their failure to arrest al-Bashir was unconstitutional and therefore invalid, the state applied for leave to appeal the judgment and on September 16 2015 leave to appeal was denied. In a unanimous judgment the court indicated that the matter was moot and that there would be no practical effect of granting leave to appeal. Through this ruling the full bench of the North Gauteng High Court has upheld the rule of law and reinforced South Africa’s obligations in terms of international and domestic law. However, this case has caused quite a stir. Firstly, the decision to invite al-Bashir to attend the AU Summit did not appear to be well considered. This was followed by a series of poor decisions by the government including an unprecedented attack on the judiciary prompting Chief Justice Mogoeng Mogoeng to seek a meeting with President Jacob Zuma to discuss the tension between the judiciary and the executive. Attacks included ANC Secretary General Gwede Mantashe accusing the North Gauteng High Court of having a “negative attitude” towards the government. Following that, failure to arrest al-Bashir resulted in motions of impeachment being raised by President Zuma’s political opponents. Then, scathing and unjustified attacks against civil society organisations standing up for human rights were launched. The state’s failing in the handling of this case included their refusal to respect the separation of powers, uphold the rule of law and protect the values enshrined in the Constitution. The current government’s conduct seems to reflect a significant shift from the Nelson Mandela era where human rights were at the centre of all foreign policy considerations. Internationally, South Africa’s reputation has taken a severe knock. 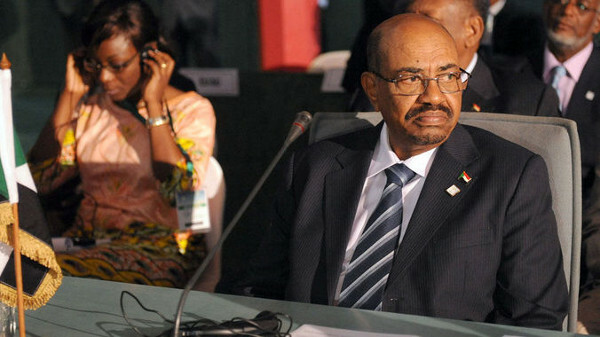 The ICC has asked the government to submit reasons by October 5 2015 for failure to arrest al-Bashir. As a signatory to the Rome Statute, South Africa has committed to cooperating with the ICC and the submission of its reasons in this matter is an act of cooperation. We are hopeful that the government will chose constructive engagement with the ICC over non-compliance. Domestically, the state has the option to petition the Supreme Court of Appeal directly for leave to appeal, which means the litigation could continue. This case is a stark reminder of the importance of independent, strong courts who uphold the rule of law. It has also raised awareness about the plight of the people of Sudan and reinforced the need to promote accountability and fight impunity. These two factors are vital because at the end of the day, the victims and their suffering must be recognised and addressed effectively. Angela Mudukuti is the International Criminal Justice Lawyer at SALC.